The flagship of the CLP-600 range, CLP-685 features every new enhancement found throughout the Clavinova line. The CFX and Bosendorfer grands are joined by a C7 studio grand for an entirely different piano playing experience. This is further enhanced by a refined GrandTouch keyboard - which is unique in CLP-685 due to the inclusion of counterweights on the front of the keysgiving superior control over the sound. Enhanced VRM gives the CLP-685 an organic feel, also added to by the extraordinary three way speaker system: 6 x 50w speakers dedicated to their own frequency ranges. As part of this speaker system the CLP-685 incorporates Spruce Cone speakers- which are made from the same material as piano soundboards. Of course this is also apparent when using Bluetooth Audio streaming. The GP response damper pedal gives the ultimate feel and response of a sustain pedal in a Clavinova while a huge 529 sounds further adds to the versaltility. USB connectivity means the CLP-685 can not only record midi files, but also record and play back .wav audio files. 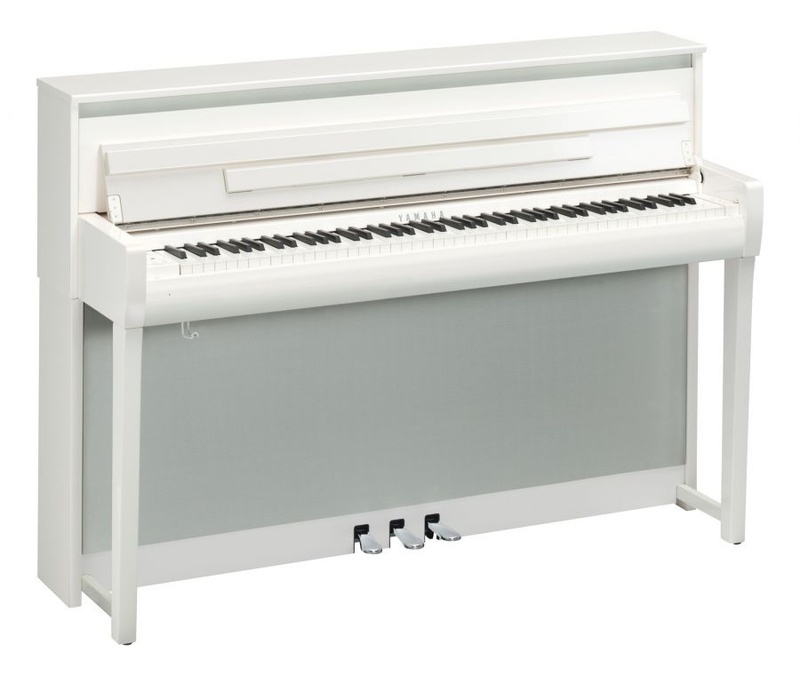 The classic appearance of the CLP-685 means it is easily mistaken for a compact upright piano. Now with a new colour, Polished White, it has a place in every living room. Of course, CLP-695 has binaural sampling, new music rest clips designed for use with both a tablet and sheet music, and 30 rhythms with optional wireless connectivity to iOS devices. CLP-685 sits at the top of the Clavinova CLP range, however Hybrid pianos such as AvantGrand offer a truly unmatched piano feel and response. This is because they are the only digital pianos in the world with an actual acoustic piano action from Yamaha. It is also worth considering TransAcoustic and Silent Pianos. The step down to CLP-675 is not only physical change. The keyboard, speakers and features all change. While CLP-675 is an excellent option if a customer's budget is not able to reach CLP-685, it is a notably different playing experience.